A independent journalist in Kazakhstan has released a documentary about the collectivization-era famine to huge public acclaim. Staff at Almaty’s Arman cinema, which admitted viewers free-of-charge to screenings of Zhanbolat Mamay’s Zulmat, estimate around 2,000 people watched the movie over a four-hour period on January 30 alone. Cinema-goers were rewarded was a rare, gloves-off treatment of a huge exercise in Soviet social engineering that historians estimate led to the deaths of around 1.5 million Kazakhs. The clamor has revealed just how much appetite there is for accounts of a period that is acknowledged but cautiously handled by authorities in Astana, who avoid dwelling on uglier aspects of Soviet history for fearing of upsetting Moscow. Such are the sensitivities, however, that only Arman, one of Almaty’s bolder cultural establishments, has so far agreed to screenings of Zulmat. The movie has now also been posted online, where it is racking up views by the thousands. Mamay’s narrative follows the disaster of early 1930s throughout its various stages. The plight of Kazakhs who died fleeing Soviet authorities bent on enforcing collectivization; the doomed uprisings during the peak years of the hunger; suppression of revolts by Soviet commanders of Russian descent who sometimes resorted to strafing peasants from the skies. Men charged with enforcing the harsh order won medals for their efforts, Mamay notes. In perhaps the most shocking passage, an elderly survivor recounts how his mother sacrificed her youngest daughter to save him when they were chased by a pack of wolves. “There were many such instances,” during the famine, the survivor tells the filmmakers. An especially polemical approach adopted by Mamay is to dwell on why Kazakhstan has not devoted as much energy to exploring the legacy of the famine as historians in Ukraine have done with events there. 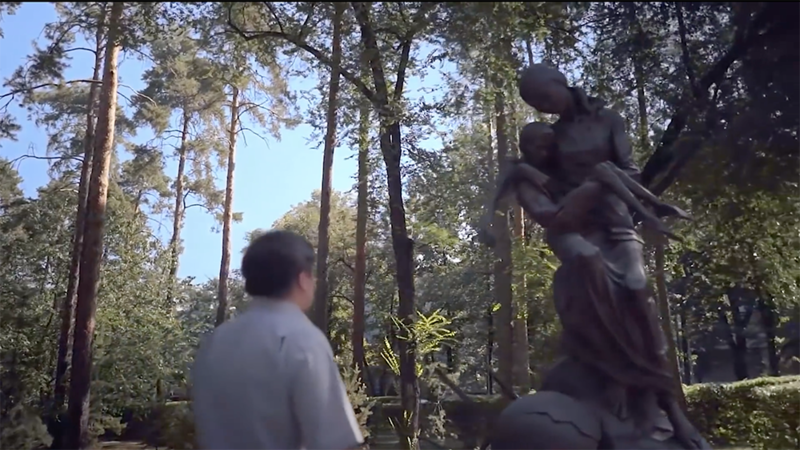 Only one memorial has been erected in Almaty, and even that was following public pressure, Mamay complains in the documentary. Zulmat’s core thesis is that Kazakhs were targets of a genocidal campaign. The famine fundamentally altered the demographic balance in favor of Russians and “turned Kazakhs into a minority in their own country,” Mamay argues. In its weaker sections, Zulmat falls back on conjecture and hypotheticals to make its point. Extrapolating from figures at he higher end of the death toll, Mamay suggests that had things gone differently, there might be 50 million Kazakhs alive today, instead of 15 or so million. A man of Slavic appearance at a showing reportedly grumbled that the film was full of "misinformation." At the screening attended by Eurasianet, however, there was rapturous applause from the audience as the titles came up. Mamay, who was also in attendance, was mobbed by people wishing to get autographs and selfies with him. After posing with posters of the film together with his sons, one spectator, Yerzhan Kerimbai, told Eurasianet that the film had succeeded where the government had failed by showing that the tragedy was a genocide. “I’ve never met a family this tragedy did not touch,” Kerimbai told Eurasianet. His own family fled to Uzbekistan during the famine, he said. Despite Zulmat’s unabashedly confrontational nature, it presumably received some degree of official blessing. Mamay appears to have had access to government archives. It marks a change of fortunes for the director, who spent seven months in jail in 2017 on money-laundering charges that his supporters said were trumped-up as pretext for shuttering his newspaper.